Barney & Friends is an independent children’s television show produced in the United States, aimed at very young children ages 1–5. 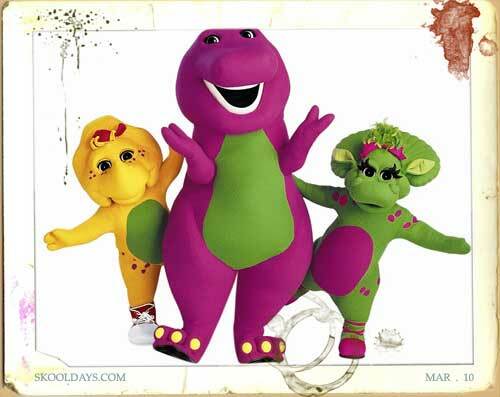 The series, which first aired in 1992, features the title character Barney, a purple anthropomorphic Tyrannosaurus rex who conveys learning through songs and small dance routines with a friendly, optimistic attitude. The main character is a purple and green Tyrannosaurus Rex in stuffed animal likeness, who comes to life through a child’s imagination. His theme song is “Barney Is a Dinosaur,” which is sung to the tune of “Yankee Doodle”. Episodes frequently end with the song “I Love You”, sung to the tune of “This Old Man,” which happens to be Barney’s favorite song of all time. Despite being a carnivorous type dinosaur, Barney likes many different foods such as fruits and vegetables, but his main favorite is a peanut butter and jelly sandwich with a glass of milk. A three year old green protoceratops, Baby Bop has been on the show since the 1991 video “Barney in Concert”. She carries a yellow blanket, and sings the song “My Yellow Blankey” to show how much it means to her. She refers to herself as 3 years old. She likes to eat macaroni and cheese and pizza. She wears a pink bow and pink ballet slippers. She is B.J.’s little sister. A seven year old yellow protoceratops, B.J. has been on the show since September 27, 1993. His theme song is “B.J.’s Song”. He wears a red baseball cap and red sneakers (as heard in the lyrics of his theme). He has lost his hat in the episode Hats Off to B.J.! and sometimes says stuff to hide fears (like in the episode Barney’s Halloween Party, he was shocked by the paper spiders and after learning they were fake, he said “I knew that, sort of.”). Pickles are his favorite food and because of that, he actually has had them in different ways like pickles (also with pepperoni, peppers, pineapple and peanut butter) on a pizza (in the episode Barney’s Adventure Bus). He is Baby Bop’s older brother. Referred as Cousin Riff by Baby Bop, he is an orange six year old hadrosaur, who is Baby Bop and B.J.’s cousin. He has been on the show since September 18, 2006. He wears green sneakers. His theme music is “I Hear Music Everywhere.” Riff loves music and it’s in almost everything he does. In the episode Barney – Let’s Go to the Firehouse, it was revealed that Riff also likes to invent things; he created a four-sound smoke detector (the first three were different alarm sounds and the final one his own voice). He even likes marching bands and parades as much as Barney does. Over the years, more than one hundred children have appeared as cast members on the show. Barney & Friends mostly get local talent which is in Texas. 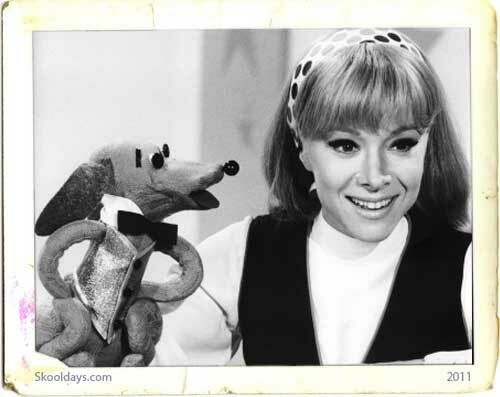 This entry was posted in Toys and tagged 1990 by Skooldays. Bookmark the permalink.